KikAss Media is a passionate web design service provider in Birmingham, UK. The company has been considered as one of the most promising start-ups in the field of web design and development. Want to know more about us? Kikass Media aims to help with the latest trends in web design and SEO services to small to medium sized businesses at a very reasonable rate. Our main objective is to provide you with High Quality Work, Creative Designs, Professional Service with a Fast Turnaround Time through all our channels which will take bring our client business to the next level. Through creative and engaging websites, our clients' audience will not only get in touch with them but also interact and build a more lasting relationship. We had a chance to work with many renowned companies around the world. Apart from that, we have also handled projects for companies in Silicon Valley as well as some government agencies of Canada just to name a few. Today, when virtually everyone has an access to the Internet, not having a website for your website means you're missing a lot of sales and exposure opportunity. Being a website designing company based in Birmingham, UK, we know for a fact how important it is to have an online presence and how it can affect your business in a larger scale. The era of yellow pages is a thing of the past, that's a fact. Come on, let's admit it, who uses the yellow pages to look for the company of services they need these days? So in today's digital age and if you own a company, it's very important to have your company online. If you want to reach thousands, if not millions of your customers, you need to know where your customers exactly are and in this case, they're online. You can do this by seeking the professional services of a website designing company, who understands your needs. That's us! Whether you own a brick-and-mortar business or a service-oriented start-up, having a website is a vital aspect of your company's survival. A website tells people what you to do and what service/products you provide, it's an avenue for you to showcase your talent and or product. Is you website's ranking under performing, continually dropping, or not working at all? We just have the right solution if that's your problem and it doesn't cost an arm and leg. 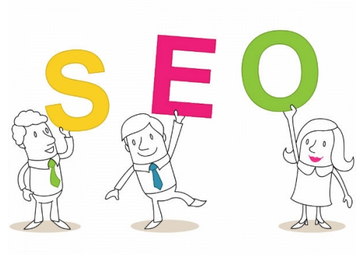 Want to know more about our Search Engine Optimisation service? Contact us today and let's work together! Search engine optimisation or commonly known as SEO is probably one of the most commonly disregarded aspects of a company, particularly those with websites. But with our comprehensive and result-oriented SEO service, we guarantee you long-term results that you and your business will benefit from. We tailor our SEO service based on the actual needs of our clients, thus, optimising positive results and avoid unnecessary expenses on your part. Want to try us? Contact us and we will give you free SEO reports and diagnostics with no strings attached. It is through SEO that your website will compete to be on the top pages of the search result of the leading search engines today. This aspect of online presence is so important that it can determine the success or failure of a company especially those that rely mainly on online promotion. At KikAss Media, we only utilise some of the industry's “white-hat" strategies in boosting and improving your search engine ranking. For every SEO campaign, we will assign a designated SEO team for your, which is composed of account manager, researchers, and a link-builder. Are you planning to launch your company's first website? Or already have one, but not optimised for mobile users? Having a mobile website created will solve your current problem. We all know that websites are important in positioning a business to its global audience. Over the past decade, most of websites are made for desktop viewing. However, right after smartphones were launched and the number of mobile Internet browsers have increased the need for websites that are tailor-made for desktop and mobile viewing has significantly increased. Today, it is a must to enable a website to be “mobile-friendly" in order to cater to millions of mobile users across the world. However, the problem usually arises when the supposed “mobile-friendly" promise from other web developers is not really the case. With LogoTechs, we ensure and we test before launching a website that every aspect of the websites is checked and good not only for mobile viewing but also for mobile navigation. It is not enough that a website can be viewed using mobile devices, it must also be important to take note that it should also be easy to navigate and all its features and plugins can be accessed even in mobile. Are you still thinking of creating your first website? How about optimizing it for desktop and mobile viewing? If you're ready to bring your business to the next level, don't forget to get in touch with us and will get back to you within the next 24 hours. If you don't know how and where to start, you can count on us! But before that, allow us to introduce to you why you should run your own social media campaign and what good does it make to your business. Social media marketing has become one of the most effective and most successful aspects of digital marketing. Facebook, for example, is the leading social networking site that established Internet marketers are making use of in promoting their business and reaching out to their clients. As a business owner yourself, you can only imagine why all of the world's leading companies are very active in social media. This only suggests that there's something with social media why multinational companies are not missing this opportunity. For businesses, making use of social media in reaching out to prospective customers has become a necessity for many businesses with international market. Can you afford to miss this chance? I don't think so. If you own a business and want to connect with your customers or audience, you need a platform, which makes this work a lot easier. This is the main purpose of social networking sites: to help you and your business connect with your customers. On the other side of the story, professionals can also take advantage of social media in further widening their network. For them, social media has become as an effective medium in extending their networks. However, optimising social media accounts can be a very time consuming and tedious work and it requires specialised expertise and skills. At KikAss Media, we provide Twitter and Facebook optimisation and management both for businesses and professionals. The team was perfect to work with. They were able to all my expectations from my website design. Although we had a slight delay in communication due to our different TimeZone. But generally, I can recommend these guys. A happy customer.